With several successful acquisitions under his belt at the helm of same-day distribution firm CitySprint, CEO Patrick Gallagher shares his top tips for holding on to your brand values (and vision) during an acquisition. 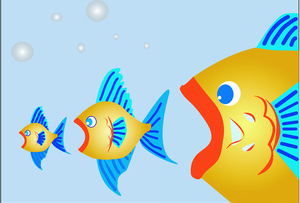 It may sound obvious but you’d be surprised how many businesses rush into acquisitions. Businesses need to take their time and find acquisition targets that complement their business model, share their objectives and have a similar philosophy and culture. This insight can’t always be found on a spreadsheet. Strange as it might seem, thinking about what could go wrong, and what you don’t want from an acquisition, is often the best place to start. Getting buy-in from employees can be a big challenge but they are often the difference between a ‘good’ and a ‘great’ business, as well as an invaluable source of company knowledge. It’s well worth putting in the effort to get it right. If possible, you should talk to your employees before you make an external announcement. You should be clear and transparent about what the change is, and what it means for the business so there are no surprises. A business’ client base is one of the most precious things you will inherit through an acquisition and it’s important not to take their loyalty for granted. Some customers will have a long-standing relationship with the company, so you need to reassure them that the only change in service quality will be a positive one. The announcement of the acquisition also provides a good opportunity to open a dialogue with existing customers: to ask them what they like most about the business, and whether there’s anything they would like to change. Achieving a powerful cultural marriage is the holy grail of a successful acquisition – but often one of the biggest challenges. There’s no ‘one size fits all’ rule when it comes to forging a new corporate culture - it largely depends on the extent that the two businesses integrate after the acquisition. But it’s important that one culture doesn’t completely replace the other more so they complement each other. Managing an acquisition can be challenging, but there are big rewards. Stay focused throughout the process and never lose sight of your long-term objectives. And above all, enjoy the thrill of building a bigger, more successful company. Patrick Gallagher is CEO of same-day distribution company CitySprint.